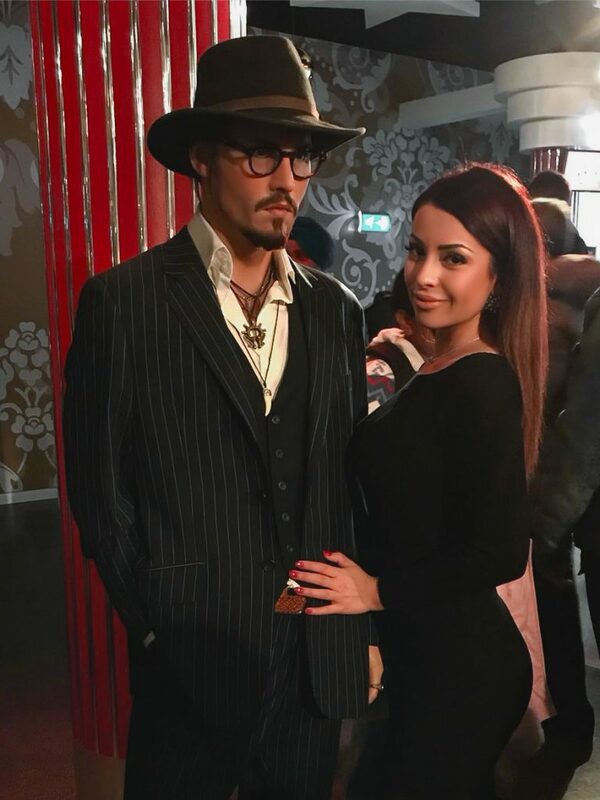 I was at the museum🏦 “Madam Tussauds 🕴” and I was very excited😍 to see the statue of 💗 Johnny Depp. When I was very close to that I’ve heard a voice💬 in my back telling me: “This looks just like me!🗣”, so… I turned it and #wow, it was Johnny😚… I thought that my heart will pop up from my chest💥. He was so sweet to take pictures with me📸. He invited me to eat at his personal restaurant🍣 and while we were drinking a glass of wine🥂 he touched my cheek♨ with his hand and watched straight in my eyes🤩. I was thinking that I live a dream. He kissed💋 my lips softly, grab my hand and invited me in the pool🏊‍♂️. He was so sweet and tender. He touched every inch of my body and make me feel like I am the only woman in the world. We made love all night🌃long and it was the most exciting experience of my life👉👌.